This holiday season, the diamond jewelry world is back in a familiar spot. Once again, diamonds are driving a conflict in Africa. Once again, the diamond industry is failing to stop blood diamonds from entering the global diamond supply. When will the diamond industry recognize that its approach to the blood diamond problem isn’t effective? When will it try something different? The trouble this time is in the Central African Republic, where a conflict fueled by diamonds, gold, and other natural resources has displaced a million people and cost more than 5000 lives. The Kimberley Process (KP), the international diamond certification scheme created to halt the blood diamond trade, banned diamond exports from the Central African Republic in May 2013. The ban, however, doesn’t work very well. According to a UN report, at least $24 million worth of diamonds have been smuggled out of the country since the ban went into effect. In other words, the KP is failing at its core purpose of stopping diamonds from funding war. The KP’s ineffectiveness in the Central African Republic isn’t a surprise. The KP repeatedly has proven itself unable to keep banned blood diamonds out of the diamond supply: first, after enacting a ban on Cote d’Ivoire’s diamonds in 2005, and later after banning diamonds from Zimbabwe in 2009. (Those bans have since been lifted.) The conflict in the Central African Republic is another reminder of how export bans simply drive the diamond trade underground. Although those bans may be helpful in some ways, they’ve never been enough to keep warlords and corrupt government leaders from profiting from illegal gems. The question then is: how can the global community prevent people from sneaking small and valuable objects, such as diamonds, across porous borders? And if current anti-smuggling efforts aren’t enough to stop blood diamonds, what else can be done? Our own theory is that the diamond industry needs to tap into the power of socially conscious jewelry consumers. But before we get to that, we’d first like to talk about the dimensions of the smuggling problem, what the KP does to combat it, and why the KP isn’t a good enough solution on its own. One point that’s worth clarifying at the start is that there isn’t a perfect overlap between smuggled diamonds and blood diamonds. A smuggled diamond is basically any diamond that isn’t imported or exported through legal channels. Diamonds have long been smuggled for many reasons unrelated to evading a KP export ban—such as to avoid the payment of taxes or because unlicensed artisanal miners don’t want to be identified by government authorities. One researcher estimates that as much as 25 percent of all rough diamonds are smuggled at some point. Just a small portion of those gems consists of diamonds smuggled out of the Central African Republic, the only country where the KP currently has put a ban in place. Historically, this idea was behind the creation of the KP, which attempts to fight blood diamonds by reducing smuggling. In the late 1990s and early 2000s, diamonds were contributing to civil wars in Angola and Sierra Leone. Although the UN placed sanctions on diamonds from both countries, warlords ignored the sanctions—just as warlords in the Central African Republic are doing now. The failure of the sanctions was part of what prompted the creation of the KP—a trading system meant to complement UN action and bring the global diamond trade into the light. Launched in 2003, the KP is basically a coalition of governments advised by the diamond industry and NGOs. The 81 countries involved in the KP, which represent almost all diamond producing countries and most of the major consuming ones, have agreed to take steps to reduce diamond smuggling and eliminate the trade in “conflict diamonds” (narrowly defined “as rough diamonds used by rebel movements or their allies to finance armed conflicts aimed at undermining legitimate governments.”) Member governments are supposed to put in place internal controls to bring informal artisanal miners into the legal trade and prevent smuggled diamonds from entering their country. Governments must attach KP certificates to all rough diamond exports attesting to the conflict free origins of the gems; they must also only trade rough diamonds with each other. By far the most disappointing aspect of the KP is that it certifies gems from places like Angola and Zimbabwe, where diamond mining is plagued by violence and corruption; this misleads consumers and legitimizes unethical practices. Last month the KP even chose Angola as its leader. But another serious problem is that the KP has never actually succeeded in ending diamond smuggling. One way smugglers outsmart the KP is by creating fake KP certificates—not necessarily hard since each KP country designs its own certificates and some designs are very basic. Another method is to secretly bring diamonds into a KP member country with weak internal controls; the government in that country, either not realizing that the gems weren’t mined locally or not caring to verify origin, will then issue a KP certificate and make the gems “clean.” According to Ian Smillie, one of the foremost experts on blood diamonds, the government in the Democratic Republic of Congo doesn’t know where 40 percent of its diamonds come from. “[T]hey could be coming from Angola or Zimbabwe or even from Mars,” Smillie told the BBC. The KP hasn’t failed entirely when it comes to smuggling. Since the KP launched, some diamond-producing countries have made strides in reducing illegal exports. Whereas all of Sierra Leone’s diamonds were once smuggled, the country now legally exports more than $150 million in diamonds annually. But where it counts the most—stopping the smuggling of banned blood diamonds—the KP has come up woefully short. Diamonds are still easy enough to smuggle that each time the KP enacts an export ban, those bans turn out to be flimsy. It would be great if the answer to diamond smuggling were as simple as having the KP step up its enforcement activities. Unfortunately, the KP isn’t an inspection authority capable of direct action against smugglers. Although it sometimes sends review teams to countries, it has no permanent employees and until recently barely had a web site. The only way for the KP to strengthen its enforcement powers is for its member governments to improve their regulatory capacities. The KP could suspend countries that fail to act against smuggling or verify the origins of the gems they certify. So far, however, KP member governments generally have been unwilling to vote to suspend countries that do not establish proper internal controls, possibly because so many KP members—from Congo to Dubai to Venezuela—might need to be suspended. In the absence of corrective action by the KP, other paths are being tried. NGOs such as Partnership Africa Canada (PAC) repeatedly have called attention to governments that don’t adequately regulate diamond exports and imports; PAC, for instance, issued a report last summer on how many of Africa’s illicit gems and minerals pass through Dubai, after which they are re-exported with their origins disguised. The KP also has asked a development group, the Diamond Development Initiative (DDI), to provide training to member governments to help regulators do a better job. The investigative work of NGOs is important; so is technical assistance to KP governments. That is why, at Brilliant Earth, we provided funding to DDI’s technical assistance program. Still, there is reason to doubt that any of this will ever be sufficient to reduce smuggling to the point that KP diamond bans will not be so leaky. Chances are, there will always be some government with weak enforcement capabilities where blood diamonds can be brought to get a KP certificate. And even if all governments did a decent enforcement job, diamonds would continue to cross borders illegally. A few smuggled diamonds always get by customs, even in places with strong regulatory capacities such as the United States. This realization brings us to an important point: a system that focuses almost entirely on eliminating smuggling may never be as effective as necessary. Although smuggling is important to prevent, an exclusive focus on smuggling puts most of the onus on governments to stop diamonds from illegally crossing borders. To keep blood diamonds out of the diamond supply, it’s also going to be necessary to enlist the help of industry, whose role in the KP has been largely supportive and advisory rather than self-regulatory. Basically, instead of looking at the diamond world as a group of governments with responsibility for policing borders and keeping tabs on internal diamond production, it’s also important to look at the diamond world as a group of companies with responsibility for their own supply chains. But another solution, one that we think could be equally or more effective in the long run, wouldn’t require any legislation at all. All it requires is establishing the consumer expectation that a mine of origin be identifiable for every diamond. Because the KP system only keeps track of whether diamonds are conflict free and not the name of the mine, the origins of the vast majority of diamonds available in jewelry shops are completely unknown. Somewhere along the supply chain, often in cutting and polishing centers where diamonds from different countries get mixed together, mine information usually gets lost. As a result, very few diamonds are traceable to a country of origin and even fewer can be traced to a mine. But suppose jewelry retailers needed to know the origin of every diamond in their inventory because consumers expected to know the name of the mine—much as diamond shoppers currently expect to know the 4Cs for every gem or as wine buyers expect to know the name of the vineyard. Distributors, cutters and polishers, and other middlemen along the supply chain would keep track of origin information and share it with retailers. If a war broke out in a diamond producing country, retailers would have the ability to immediately stop buying gems from affected mines. OK, but what would prevent deceitful diamond traders from passing off blood diamonds as coming from a responsible mine, just as smugglers currently game the KP? Some traders would try to do that and occasionally succeed. 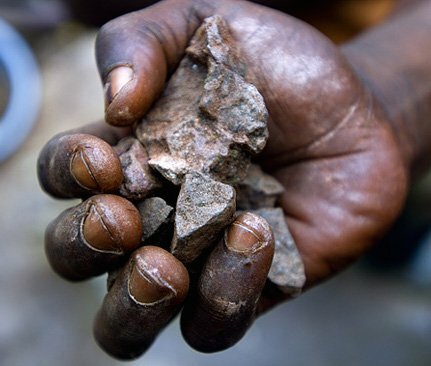 But over the long term, as retailers competed for the most reliable sources of traceable diamonds, as tracking systems and technologies improved, and as auditors checked and re-checked supply chains, it would be harder for warlords to find buyers for their smuggled blood diamonds. Market pressure from consumers for an airtight guarantee of a diamond’s origins would push traceability mechanisms to get better and better. This scenario may sound like wishful thinking, but the structure of the diamond market suggests it could be possible to set in motion a transition to complete traceability. Compared with colored gemstones, 80 percent of which are produced by thousands of artisanal miners working alone or in small groups, most diamonds come from a limited number of industrial sources. Just four big mining companies—De Beers, Alrosa, Dominion Diamond, and Rio Tinto—produced an estimated 78 percent of rough diamonds by value in 2012. Those companies could identify a mine of origin for all their gems and partner with distributors and retailers to ensure that origin information was preserved along the supply chain and given to consumers. Once traceability became a norm for industrially mined diamonds, there would be a market incentive to extend traceability to the remaining 20-25 percent of diamonds, many of which come from artisanal or small-scale diamond mines in places like Congo, Sierra Leone, and the Central African Republic. Already, the first signs of a traceable diamond supply are starting to appear. Dominion Diamond has taken a positive step by administering the Canadamark program, which laser-inscribes some Canadian diamonds with a unique serial number and allows them to be traced. 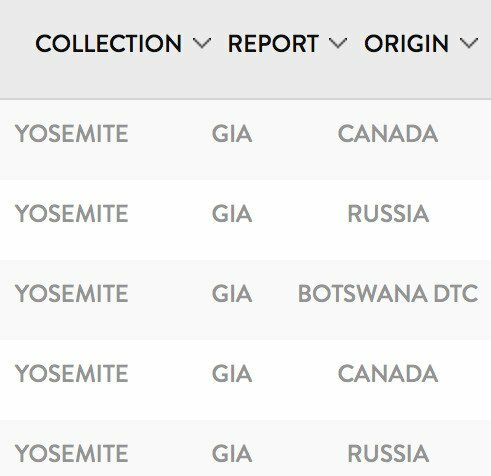 In addition, at Brilliant Earth our knowledge of our suppliers allows us to provide origin information for every diamond in our online database. Our mission is to cultivate a more responsible jewelry industry; part of what we mean by this is that we would like to see more retailers adopt our approach and offer diamonds traceable to particular countries and mines. None of this means that we think the KP should be scrapped. Setting aside some of the KP’s objectionable decisions (such as certifying Angolan and Zimbabwean diamonds), we think the KP could be empowered to play a more useful role alongside an industry commitment to complete traceability from mine to retail. That’s because if origin information did always travel with individual diamonds, the KP would work a whole lot better. Governments that currently issue KP certificates to all diamonds in their territory because they can’t tell which gems are illicit and which are legal would be in a better position to deny certification to gems with unreliable origins. The KP thus would do a better job at reducing diamond smuggling—which would increase government revenues and maybe catch a few more blood diamonds. For more than 10 years, the diamond industry has deflected responsibility for creating a transparent diamond supply chain by claiming that the KP is doing an adequate job. But as we’ve seen again in the Central African Republic, the KP and its member governments can’t stop blood diamonds on their own. It’s time for the diamond industry to help out. Our team would love to talk with you about this issue and give more information about how to help. Please call us at 1.800.691.0952 or use the live chat on our website. Thanks for your interest! You mentioned ;To keep blood diamonds out of the diamond supply, it’s also going to be necessary to enlist the help of industry, whose role in the KP has been largely supportive and advisory rather than self-regulatory. Could you elaborate on what kind of help should be enlisted for those industries.